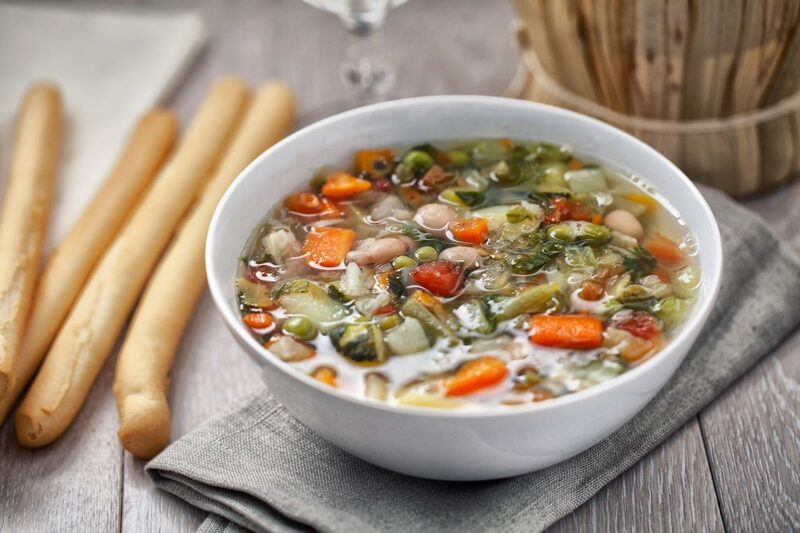 For us Italians, the Italian Vegetable Minestrone Soup Recipe is one of those classical and evergreen recipes we associate with genuine things, happy moments and family warmth. This is in fact one of the many typical Italian recipes that is usually handed down from grandmas to children in a perpetual loop, something every Italian person have made at least once in life. Since it’s a very traditional recipe, everyone prepares in his own way but there are some rules not to be forgotten. There is no perfect time to prepare this Italian Vegetable Minestrone Soup Recipe, but certainly the winter, with its cold temperatures, is the ideal season for this dish; this does not prevent us from preparing it even when it’s hot outside and eating it cold, choosing a variety of seasonal ingredients. In all cases, at the base of the “minestrone soup” there is always a sauté prepared with celery, onion and carrot browned in oil and then covered in water with all the other vegetables. The sauté is one of the elements on which the traditions often diverge: it is not rare to make your minestrone with lard and bacon, for a stronger flavour and certainly more calories. It is always essential to choose seasonal vegetables so as to get the most out of your soup! 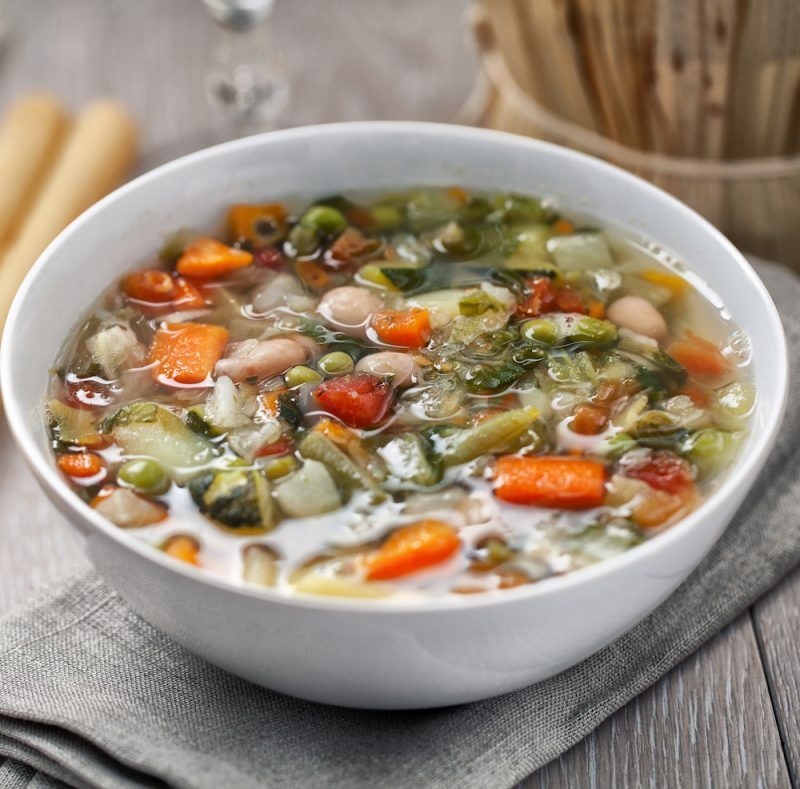 Before moving on to the recipe, a small consideration necessary for this recipe: the Italian Vegetable Minestrone Soup is a real exercise of imagination. Once you have acquired the basic recipe, you can play with the ingredients in order to create a personalised and unique dish. Crusts of Parmigiano Reggiano Cheese/ Bread / Pasta [Optional]. Serve hot alone, adding bread or Parmesan crusts or avoid mixing part of the minestrone and add the pasta to be cooked for the necessary time. If you want to freeze the minestrone, use an airtight container and freeze the product only when it is completely cold. You can consume it no later than 4 weeks, letting it defrost directly on the stove on low heat to prevent it from filling with water.